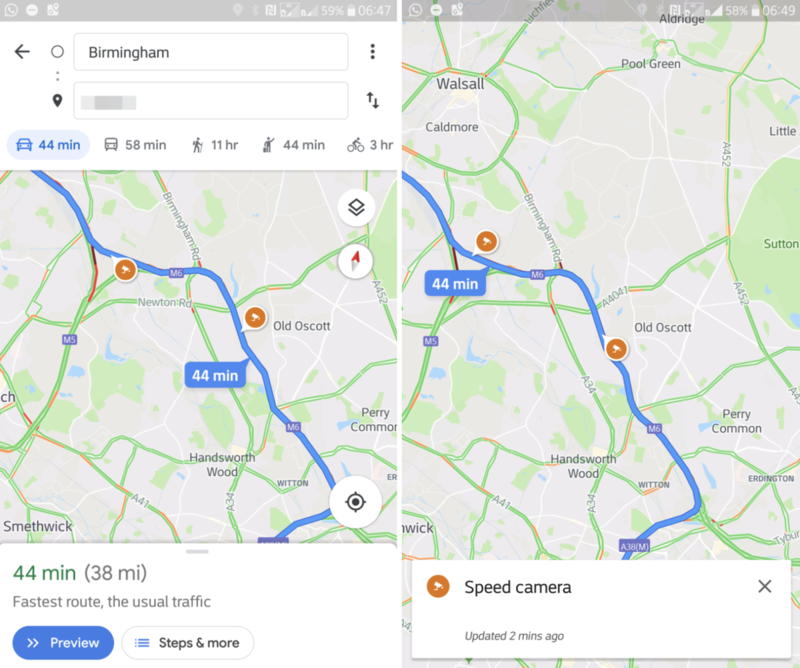 Google is currently rolling out a new feature to its Google Maps app for iOS and Android devices. Support for road speed limits and speed traps is now available in the popular navigation app. The speed limit feature displays the speed limit of the road being driven on in the lower-left hand portion of the screen. Speed traps are indicated with a small camera icon, and is shown on the visible map area. The app will give drivers an audio warning as they are approaching a speed trap. 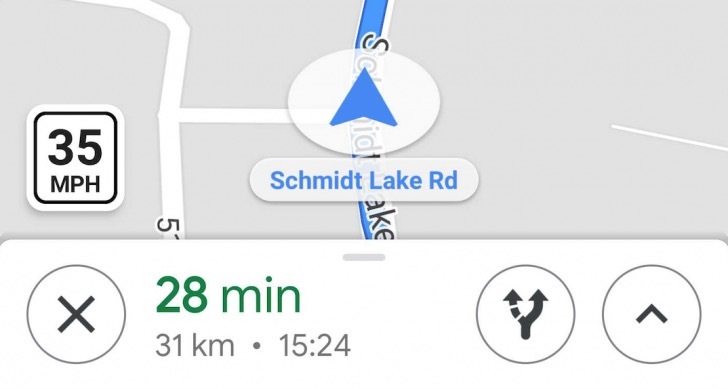 If you’ve never heard of speed limits popping up in Google Maps, we can’t blame you. As of July 2017, Maps’ speed limit feature was only confirmed to work in two areas: the San Francisco Bay Area in California and Rio de Janeiro, Brazil. There’s been little news since then, but tonight we received three tips from different parts of the US showing that speed limits were live in Maps. Back in October, Google actually downgraded the US’s speed limit availability from “good data quality and availability” to “approximate data quality or availability.” Given that the Bay Area was basically the only place where speed limits on Maps were deployed, the demotion made sense. That might change soon, though, given that one tipster from New York City, another from Los Angeles, and yet another from Minnesota all tipped us about seeing the speed limits tonight. The speed limit feature is initially limited to the United States, the United Kingdom, and Denmark. Spped trap icons will begin appearing for users in additional countries, including Australia, Brazil, Canada, India, Indonesia, Mexico, and Russia.